Behavior Design Masterclass, a special one-day workshop on Dr. BJ Fogg’s behavior model, comes to Vegas on May 5, 2017. At the Masterclass, David Ngo and his co-instructor, Linda Fogg-Phillips, M.S. will teach tech entrepreneurs and business owners how to build products and companies that actually influence the behaviors of prospective customers. David and Linda are specially licensed and trained by Dr. BJ Fogg. The workshop includes original content that isn’t currently published online or in books. We had a chance to talk to David about the upcoming workshop and Dr. BJ Fogg’s groundbreaking work. Behavior design, created by Dr. BJ Fogg of Stanford, is more than another way to understand human behavior. By applying practical psychology to business and product design, the Fogg Behavior Model gives business owners a tool to actually influence consumer behavior. 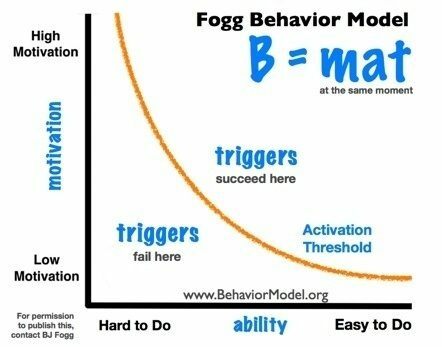 The Fogg Behavior Model (FBM) helps designers and entrepreneurs figure out how to get consumers to take some kind of action, like adding a product to their cart or leaving a Yelp review. In a nutshell, FBM explains that there are 3 factors that interact and cause a specific behavior to happen – motivation, ability, and triggers. Of course, it’s one thing to know what causes behaviors, and it’s something else entirely to be able to apply that knowledge to get a result. That’s why there’s a Behavior Design Masterclass. Early-stage founders and teams – even large teams – find success more easily because they focus on designing for behavior (i.e., Instagram, Pulse, Spire, etc.) The founders all trace back to Dr. BJ Fogg. Whether or not you’ve heard of it before, you’ve probably been attempting behavior design in your company already. “If you’re building a product that deals with humans, then you’re trying to influence human behavior,” David says. Maybe you’re trying to get more clicks on your Facebook ads, attract new investors, or you just want to sell more stuff. 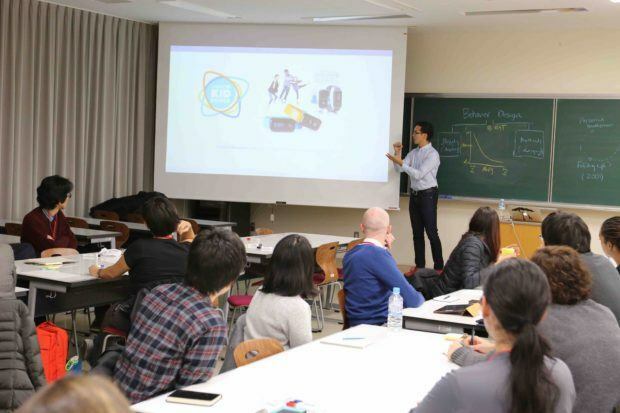 That’s the point of Behavior Design Masterclass – it helps you understand why people click, or invest, or buy, and then design your website and products to encourage that behavior. Behavior Design Masterclass is an alternative to Dr. BJ Fogg’s Behavior Design Boot Camps, 2-day workshops in Healdsburg, California which start at $3,400 per person. The condensed Behavior Design Masterclass is meant to be more accessible, both in pricing and location. David says: “Even if you’ve heard of the Fogg Behavior Model or Behavior Grid, you’re not doing behavior design yet.” Understanding the concept is a great start, but the Masterclass is designed to turn you into an expert that can actually use behavior design in your business. The workshop includes original content that isn’t currently published online or in books, and instructors David and Linda are specially licensed and trained by Dr. BJ Fogg. 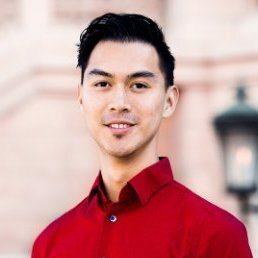 In addition to the core concept, attendees will learn actionable techniques like focus mapping and methods for creating lasting behavior changes. Seats are very limited to make sure everyone gets personalized, in-depth training. Also an important factor – lunch will be catered. There’s a special bonus for VegasTech readers, too! BJ and I [David] are finishing a book on Behavior Design this year. VegasTech.com readers who attend the masterclass will receive a complimentary book when it’s published. Register here or visit BehaviorDesignMasterClass.com for more information.